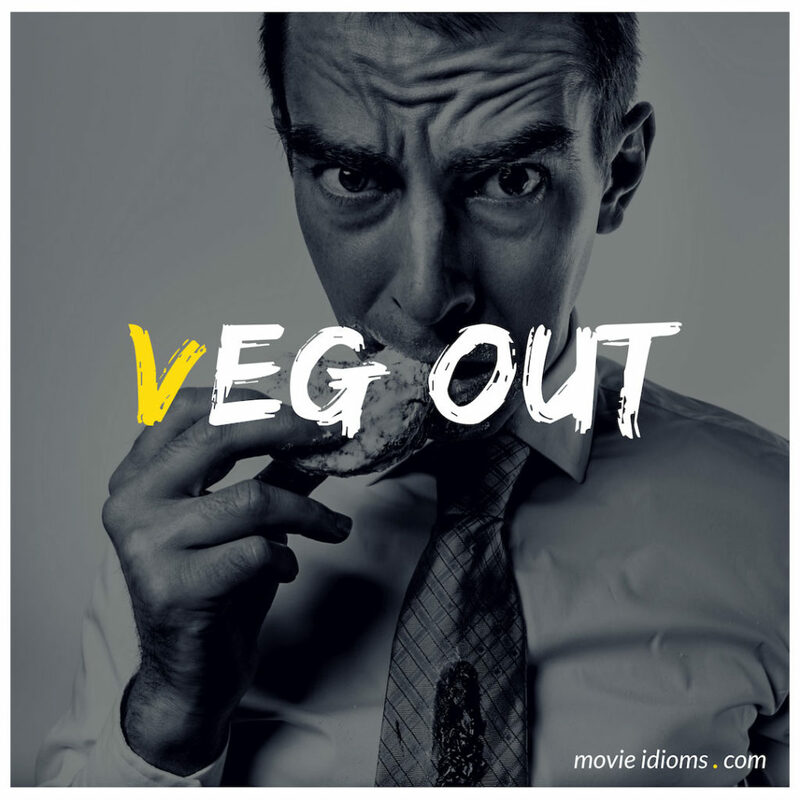 What does veg out mean? Nancy Thompson: Maybe I should just pick up that bottle and veg out with you, ignore everything going on around me by getting good and loaded. Mick: Anton it’s killing me to see me to see you this stressed out man. You cut off your hand in the interest of who knows how many others. So, what I want you to do is take a little Anton time. Okay just relax. Kick back my man. Mick: No, no, no, no Kevin Costner speeches okay? Let’s just go. Vivian: Let’s watch old movies all night. We’ll just veg out in front of the TV.